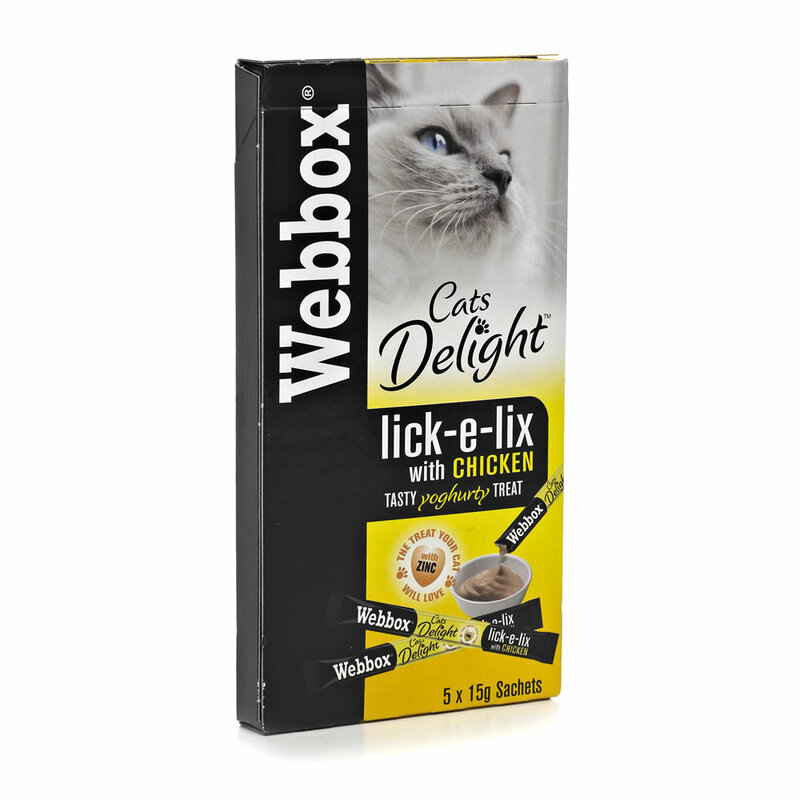 Webbox Lick-e-Lix are delicious treats for cats which can be fed on their own or put on top of their food to make it more enticing. The yoghurt-like consistency will be lapped up by your cat and is sure to eat anything you cover it over. The Salmon variety comes with added Omega 3 & 6 and the Chicken variety with Zinc. Zinc - 20mg per kg. Omega 3 - 200mg per kg. Below are some recent questions we've received regarding Webbox Lick-e-Lix Cat Treats, including answers from our team. Lick-e-lix safe for cats with struvite crystals? Our cats is on medicines for struvite crystals and bladder/urethral spasm. Would it be safe to mix his dantrolene and hypovase drugs into the lick-e-lix? Our cat really struggles taking these meds as they are human drugs and come in large capsules. As long as these are used just to give the medication and make up just a small proportion of the total diet, they should not upset things at all. I would recommend you encourage your cat to drink plenty. It is best to use just moist food, never dried, and offer drinking water in odd places around the house, such as a glass placed on a windowsill or wherever your cat tends to go. Cats like to drink from different places on their journey around their territory. The more dilute the urine your cat produces, the better it is for crystals and other urinary problems. More liquid going in means more liquid going out, which is a good thing.